Light up your night out! 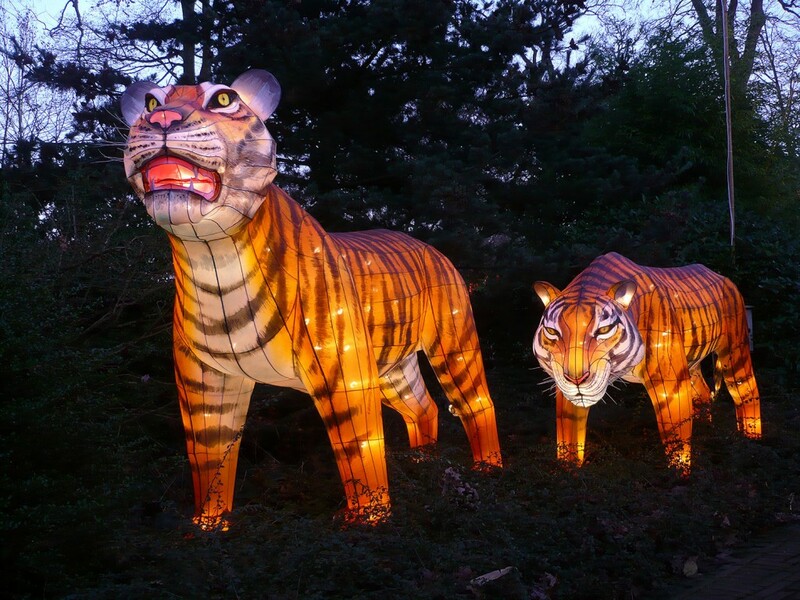 The Calgary Zoo’s new event, ILLUMINASIA, Lantern & Garden Festival, is a bright spot this fall! What exactly is ILLUMINASIA? Well one thing is for sure- it isn’t ZOOLIGHTS 2.0! Calgarians are accustomed to spending their winter nights out at the zoo during ZOOLIGHTS, admiring millions of lights in the snow. While this event also lights up the zoo at night, there is even more to explore and enjoy. An event two years in the making, the festival will run for seven weeks this fall, brightening up Calgary every Thursday through Sunday evening from September 17 to November 1, 2015. Large handmade lanterns will embellish the zoo grounds, supported by cultural programming from China, Japan and India! This festival is the very first of its kind in Western Canada, featuring more than 350 Chinese lanterns. The lanterns, representing a variety of animal species, were all handmade in China’s Sichuan province by more than 40 artisans. These artisans have skills that are part of a great institution- lantern crafting has been part of an 800-year tradition. Historically, lanterns in China were lit to show respect for Buddha. Over time the festival evolved to become a yearly event that is a highlight at the end of the Chinese New Year. These aren’t your average paper lanterns! Each lantern is crafted from a three dimensional wire frame, and then covered with a silk-based rayon material. To bring the lanterns to life, the artisans then paint them by hand, adding details and colour. We’re excited to say that these lanterns also feature LED lights to make them as green as possible during the festival- which reduces their energy use by up to 90 per cent. The time and care put into creating these incredible lanterns is evident in person, and the care didn’t stop when they left China. A dozen Chinese workers will travel from China to Calgary to instruct the installation of the lanterns, care for them, and provide repairs as needed. After all of this work to bring the lanterns to the Calgary community, we can’t wait to show them off- but you don’t only need to see them at night. For those that can’t attend the ILLUMINASIA festival, the lanterns will still be striking and amusing by daylight. Of course, when the sun goes down, that’s when they will really get to shine. Just as the lanterns back in China serve to bring the community together, so will the ILLUMINASIA festival! We can’t wait to share this new experience with you! Watch a video about the history of the Chinese Lanterns, and keep an eye out for more updates on the festival as we draw closer to its opening on September 17!